Orion’s crew module adapter simulator arrives to NASA Glenn’s Plum Brook Station in Sandusky, Ohio. 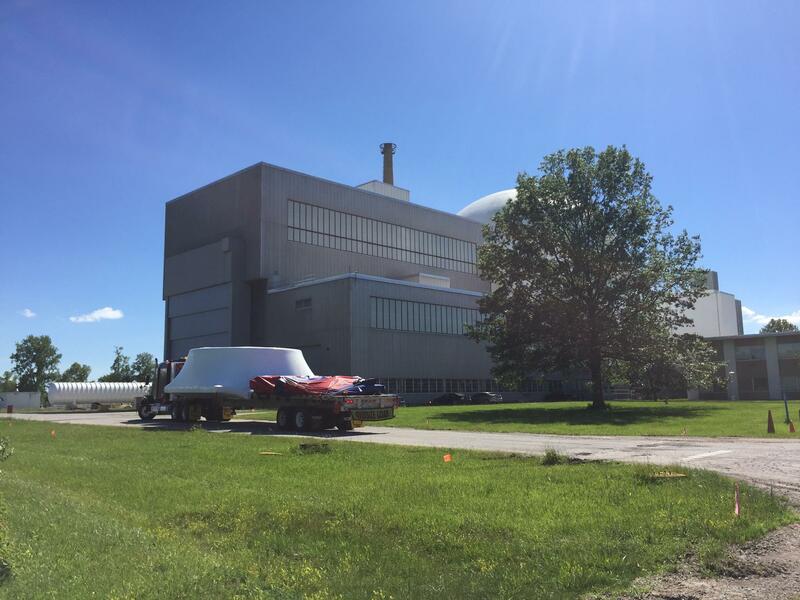 Orion’s crew module adapter (CMA) simulator arrived at NASA Glenn’s Plum Brook Station in Sandusky, Ohio on June 22. 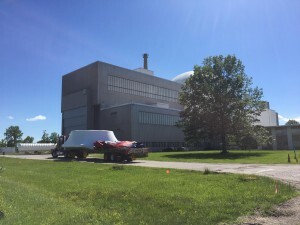 The simulator was built at the agency’s Kennedy Space Center in Florida and moved to Plum Brook for Orion service module testing scheduled to begin later this year. At Plum Brook’s Space Power Facility, the CMA and the service module provided by ESA (European Space Agency) will be integrated and then undergo acoustics and mechanical vibration tests that simulate the noise and shaking the service module will endure when the spacecraft heads to space atop the Space Launch System rocket. The service module is a critical part of Orion and houses all the air, nitrogen and water for crews, in-space propulsion, and batteries and solar arrays to generate power. It’s great to read that the crew module is there. Also fantastic to see how the European Space Agency has worked with contractors building the propulsion system to produce the service module. I think that’s really important for future development – working together. Orion is one stunning spacecraft. The Dec 2014 flight test went very well. Glad to hear that the programme is going ahead and the crew module adapter is an essential part of the spacecraft which will take us to Mars.